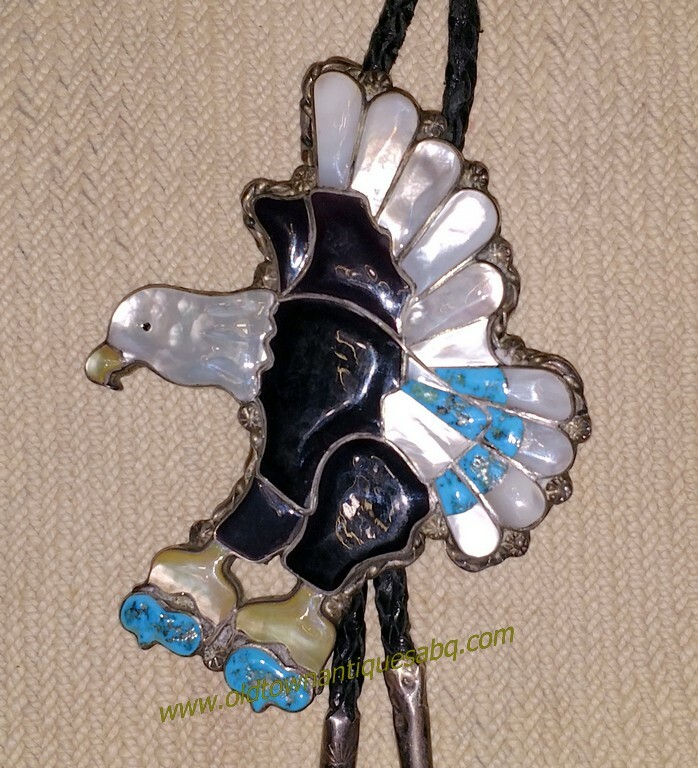 A striking big bolo tie of a bald eagle with matching tips of eagles’ heads. The inlays include bright white shell, jet, gold-lip shell and turquoise. The bolo is marked on the back with the signature stamp, “Ray & Eva Wayaco.” The central eagle measures approximately 4″ tall x 3″ wide. Each eagle head is about 3/4″ tall x 1 3/8″ wide. It is in excellent condition overall with small bits of soil and light wear. The unmarked Bennett clasp works well.